The PALM PROBE RADIOMETER ((P)roduction (A)mbient (L)ight (M)easurement) is a process control instrument designed for measuring UV energy within inaccessible environments. It provides a safe, reliable measurement solution for UV-web and other applications. 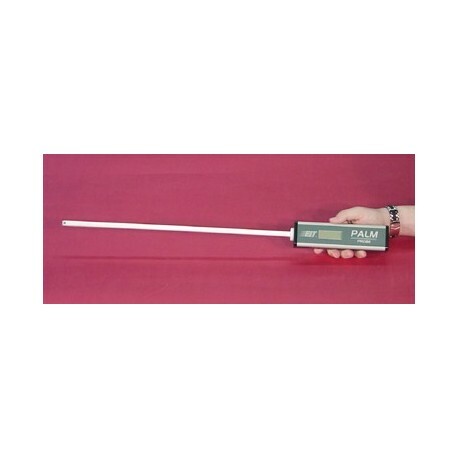 The PALM Probe has an extremely wide dynamic range allowing it to measure very low (i.e. fluorescent bulbs) and very high (i.e. powerful UV curing systems) levels of UV. 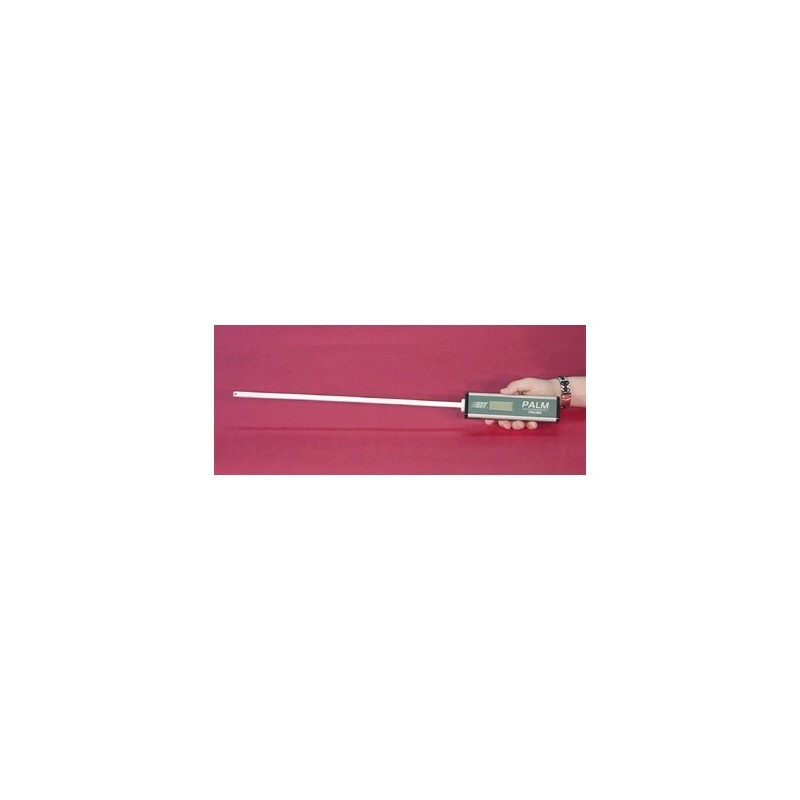 As the harsh physical conditions inside a UV curing chamber include extreme temperature variations, the PALM Probe is designed to withstand these conditions as well as protect the operator and instrument from damage or electrical shock. The light guide is constructed of steel alloy and coated with a non-conductive ceramic coating to insulate and protect the user from accidental shock. It is further isolated from the instrument body by a non-conductive Delrin block. An input aperture at the tip of the PALM Probe light guide detects all wavelengths of ultraviolet, visible and infrared radiation. The light is directed down the light guide to the base of the instrument where a UV filter passes the UV light of interest to the photodetector. The LCD display toggles between watts, joules, and seconds during data collection and at the end of data collection. All Versa Probe have re-chargeable batteries and come with a battery charger.